After the release of flagship phone Xiaomi Mi3, worldwide, now its time to its next launch of another giant from “Apple of china”, Xiaomi Mi4. We had 10 best Reasons to choose Xiaomi Mi3, to buy budget range smartphones, which has features, that can even beat Apple iphone 5s, with its great specifications. Now it is Mi4 time to list the best reasons to buy Mi4. There are lot of comparison between Xiaomi Mi3 andXiaomi Mi4, which actually made Xiaomi Mi4 to cost twice of Xiaomi Mi3. There are 10 best reasons to make you believe how great and how best Xiaomi Mi4 is and i even apple cant make such features in a unbelievable price tag. It is not the brand “Xiaomi”, made it popular, it is Best top reasons that made “Xiaomi” the best and popular in the smartphone market. 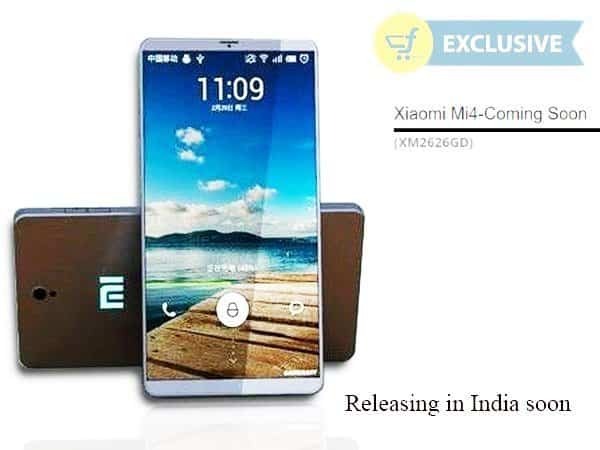 It was even rumored, flipkart is coming with its exclusive release of Mi4 in india soon. The estimated price of Xioami Mi4, which is releasing in India, through Flipkart exclusive is rumored to be Rs. 22,000. After the great launch of Xiaomi Mi3, now its time to release Xiaomi Mi4, very soon in India. We are awaiting for the final date confirmation, for the release of Xiaomi Mi4 in India. It was already confirmed the prices of Xiaomi Redmi 1s and Xiaomi Redmi note, which is going to release in India, this September, very soon. As per the previous post, Xiaomi Redmi 1s has great specifications and economical price and we made a gaming review on Xiaomi Redmi 1s and Video review on Xiaomi Redmi 1s. The best thing in Xiaomi Mi4, is its processor. 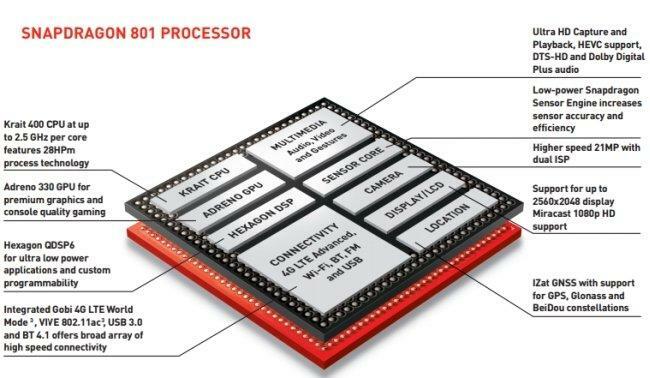 Xiaomi Mi4 comes with Qualcomm Snapdragon 801 Quad-core 2.5 GHz Processor. That makes the “Apple of China”, makes superfast device. Qualcomm snapdragon 801 quad core 2.5ghz processor in Xiaomi Mi4 harness the robust integration of many components for incredible speed and power efficiency. Even being a Quad core processor, Xiaomi Mi4 is certified as Power efficient Smartphone, that can run for 36 hours, which is the best part of Xiaomi Mi4. 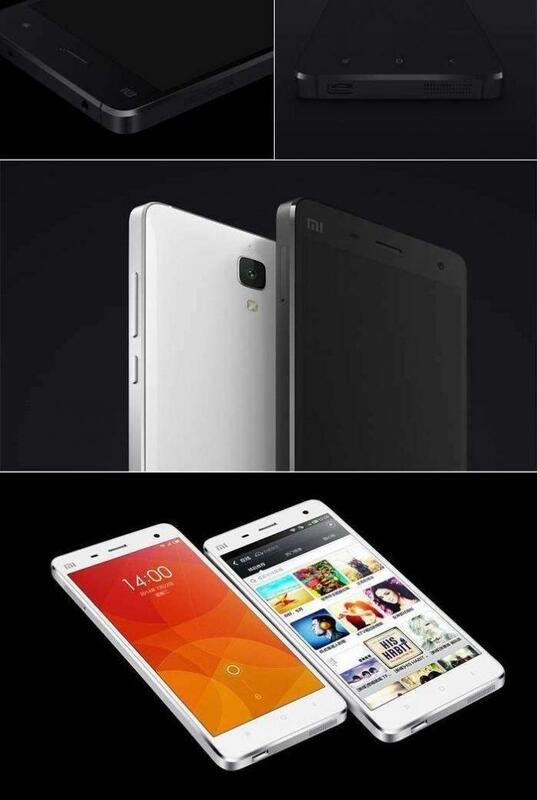 Xiaomi Mi4 comes with 0.3 second fast focusing, 13MP Sony rear facing camera. The lenses used in Xiaomi Mi4 is same as the lenses used in lastest Sony IMX 214 Camera. Xiaomi Mi4, Shoots faster with better quality. f1.8, real-time HDR. Xiaomi Mi4, shoots video with 4K video recording. The Xiaomi Mi4 has a non detachable/removable battery. In case the battery dies out, you won’t able to replace the battery yourself. You’d be required to make a tedious visit to the service centre. This is one of the Cons of Xiaomi Mi4. With all the above specifications of Xiaomi Mi4, the other important feature is Memory. The internal Memory of Xiaomi Mi4 comes with 16gb and Xiaomi Mi4 doesnt comes with the Expandable memory. The option of not having the expendable memory, doesnt makes any difference, because even the Iphone 5S, doesnt have Expandable memory. Xiaomi Mi4, comes with 3GB of Ram, which drives the device to boost faster. The user interface in Xiaomi Mi4 is MIUI V5, which Support 24 Languages and it is Recognized by 650 Million Users. The display employed in this smartphone is High Color Gamut Sharp/JDI Display, Saturation Increased 17%. It comes in 5-inch, 1920*1080 ppi, 84% of NTSC range (17% higher than iPhone 5s). 2.65 mm super narrow edge.